A study by IIT-Hyderabad has found high levels of mercury in fish from Kodaikanal lake and ponds fed by the Pambar Stream in Periakulam plains. A letter written by IIT-H scientist Prof. Asif Qureshi to Theni and Dindigul district collectors, and Kodaikanal municipal commisioner on August 2, 2017 urges the administration to advise people, particularly pregnant women to limit their consumption of fish from these water bodies. 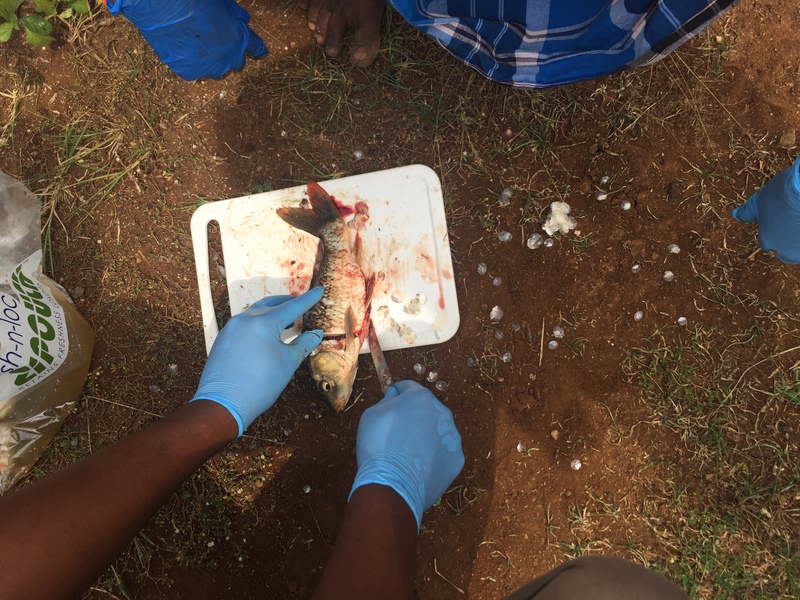 Mercury sampling in fish from Veerapanaicker Kulam, Periyakulam, Tamil Nadu. December 2016. Mercury is a potent neurotoxin. It can damage the brain and also lead to kidney failure. Methyl mercury, the form that is found in fish, is even more poisonous. In pregnant women, it can cross the placental barrier and harm the developing fetus and cause serious birth defects. The US Environmental Protection Agency prescribes a safe level of 30 microgram/kg of mercury in fish. 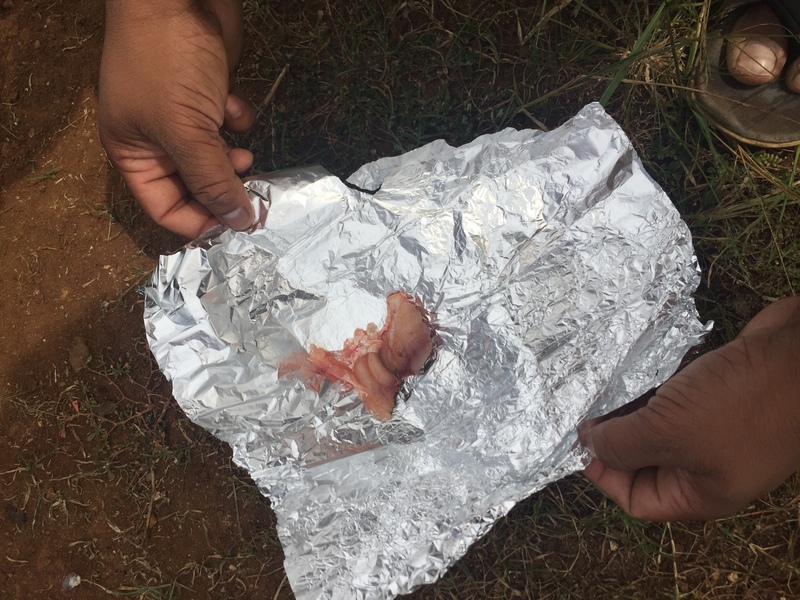 However, four out of eight fish caught from Kodaikanal lake contained between 31.1 and 41.9 micrograms/kg. 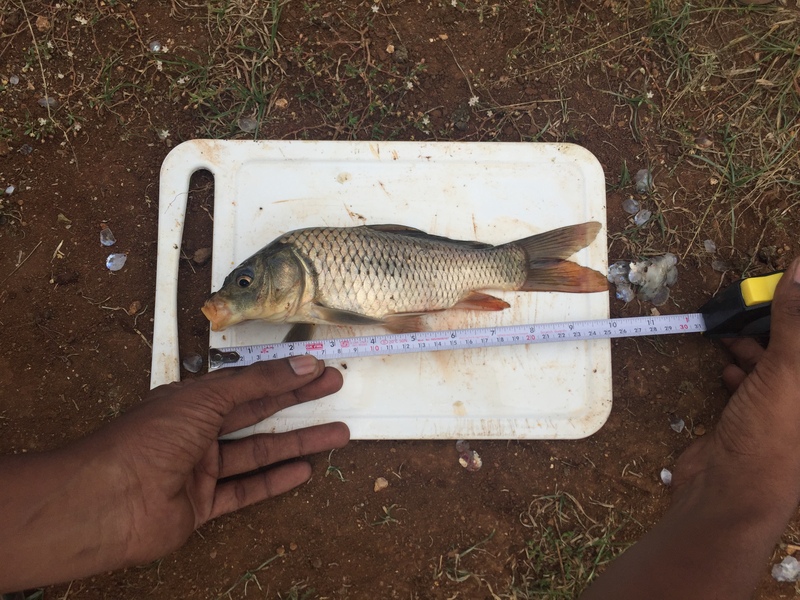 Fish caught from a Pond fed by the Pambar Stream, less than 5 km from Kumbakarai falls contained far higher levels — between 94 and 165 micrograms/kg. The Pambar Stream which feeds several ponds in Periakulam before joining Varaha River and emptying into the Vaigai runs beneath Hindustan Unilever’s mercury contaminated thermometer factory site. A study conducted by NEERI in 2015 for Unilever found high levels of mercury in sediment samples taken from a stream draining the contaminated factory grounds into the Pambar river. Mercury levels in sediment ranged from 0.228 to 0.507 mg/kg; uncontaminated sediment should contain less than 0.1 mg/kg of mercury. The IIT-H results support environmentalists’ claim that the mercury leaking from the contaminated factory site into the Pambar-Vaigai watershed is harming the ecosystem, fish, fish consumers and fisher livelihoods downstream. Unilever’s proposed mercury clean-up standard for soil in Kodaikanal is 20 times weaker than the soil guideline value for mercury in United Kingdom, Unilever’s headquarters. Despite the double-standards, Tamil Nadu Pollution Control Board has given its go-ahead for remediation. IIT-Hyderabad’s findings make a case for tightening the standards to a level where the factory site is no longer leaking mercury at levels high enough to contaminate fish in the downstream water bodies. Addressing a press conference in Madurai to release the results, Prof. Murali, PUCL, Zoology Professor Dinkar from Madura College and Nityanand Jayaraman, a Chennai-based writer and activist associated with the Campaign to Cleanup Kodaikanal Mercury Pollution urged the district administrations to advise people to limit their fish consumption, and instruct Tamil Nadu Pollution Control Board to tighten clean up standards for Unilever’s contaminated site remediation.